She looks exactly like Cal's shy childhood crush, but her name is Nyelle Preston and she has no idea who he is. This girl is impulsive and daring, her passion for life infectious. The complete opposite of Nicole. Cal finds himself utterly fascinated and falling hard. But Nyelle is also extremely secretive. And the closer he comes to finding out what she's hiding, the less he wants to know. 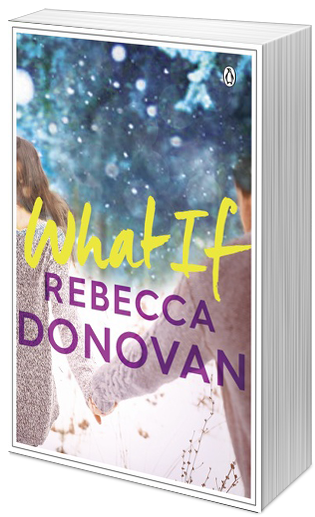 "What If" is a story that had me hooked from page one! It was exciting, funny, beautifully written and slightly mysterious with a lot of serious issue that is mixed into the main story between Cal and Nyelle.